The new evidence suggests that hackers manipulated the Alliance Access server software, which banks use to interface with SWIFT's messaging platform, in a bid to cover up fraudulent transfers that had been previously ordered. Deteran told Reuters on Sunday that SWIFT was issuing the software update “to assist customers in enhancing their security and to spot inconsistencies in their local database records." She said "the malware has no impact on SWIFT’s network or core messaging services." 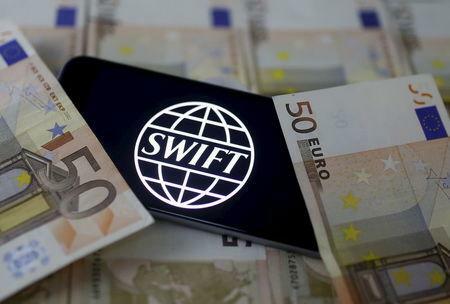 The software update and warning from Brussels-based SWIFT,or the Society for Worldwide Interbank Financial Telecommunication, come after researchers at BAE <BAES.L>, which has a large cyber-security business, told Reuters they believe they discovered malware that the Bangladesh Bank attackers used to manipulate SWIFT client software known as Alliance Access. The cyber criminals tried to make fraudulent transfers totaling $951 million from the Bangladesh central bank's account at the Federal Reserve Bank of New York in February. “Whilst we keep all our interface products under continual review and recommend that other vendors do the same, the key defense against such attack scenarios is that users implement appropriate security measures in their local environments to safeguard their systems,” Deteran said. Adrian Nish, BAE's head of threat intelligence, said he had never seen such an elaborate scheme from criminal hackers. A Bangladesh Bank spokesman declined comment on BAE's findings. Bangladesh police investigators said last week that the bank's computer security measures were seriously deficient, lacking even basic precautions like firewalls and relying on used, $10 switches in its local networks. Monday's alert from BAE includes some technical indicators that the firm said it hopes banks could use to thwart similar attacks. Those indicators include the IP address of a server in Egypt the attackers used to monitor use of the SWIFT system by Bangladesh Bank staff. The malware, named evtdiag.exe, was designed to hide the hacker's tracks by changing information on a SWIFT database at Bangladesh Bank that tracks information about transfer requests, according to BAE. Nish said he was highly confident the malware was used in the attack because it was compiled close to the date of the heist, contained detailed information about the bank's operations and was uploaded from Bangladesh. While that malware was specifically written to attack Bangladesh Bank, "the general tools, techniques and procedures used in the attack may allow the gang to strike again, "according to a draft of the warning that BAE shared with Reuters. The malware was designed to make a slight change to code of the Access Alliance software installed at Bangladesh Bank, giving attackers the ability to modify a database that logged the bank's activity over the SWIFT network, Nish said.